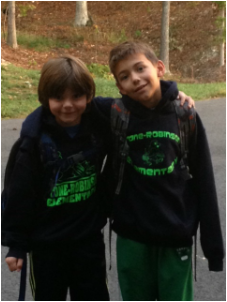 Remember - when you get on the bus or in the car on Friday mornings - are you wearing SRE colors or an SRE shirt?? any SRE shirt from now or years past! Teachers and Staff - you can wear school colors too! Every Friday is school spirit day. Students and staff are encouraged to wear school colors (navy and lime green) or any SRE shirt. And on the first friday of each month there is an all-school assembly to show your school color pride! There is also always a good chance of seeing the SRE eagle himself! !